At the risk of sacrilege, I'm considering drilling mounts into the side of the mushroom in my Ctsw. But before I consider it I'd like to know if it's stout enough to handle it. Right now I'm supplementing my glass cockpit with a couple of iPads, one on each side of the mushroom. Right now I'm using suction mounts on the Windows, but that means the whole contraption moves with the doors which is a pain, and I'd also prefer a mount that's more secure than a suction cup, though I've had no problems with that to date. 1. What is the side of the mushroom made of? 2. How thick is it? It can be done. Just put a wider backing plate on the inside of the instrument panel to spread the pressured area out. It shouldn't be an issue. I have seen a number of them. I used a 6-inch piece of 1-inch aluminum channel (extrusion) to back the Ram mount supporting an ipad 2. Two 3/16 bolts through Ram and channel. 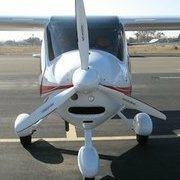 Be sure channel clears autopilot and EFIS. About 500 hours in use with no cracks or deformation noted. FlyingMonkey did this not too long ago. I'm sure he has some pointers when he gets back on line. Andy has a lot of good pointers. You might like to also consider using an Arcon floor mount that bolts under the seat rail front bolt , the shaft is about 18' long . The advantage is that the Ipad is out of the sun and is therefore less likely to shut down when hot . I think there is photos of these under another thread . also you don't drill holes in the mushroom although I have seen the RAM mount used a few times . Found the other thread , look up general avionics about May this year - gooseneck mount . I have just purchased one . Don't touch the Chineese version they are cheap crap . This has been on mine for almost three years, no problems at all. As Roger said, use a sheet aluminum backing plate. Use .030" aluminum or similar. Mine's not even that big, just enough to add some stiffness around the screw holes. I used a 1" RAM mount ball, then you can attach any RAM-compatible accessory to it. I ended up using the iPad dock and the longest straight piece they make, I think 6". Shorter than that and the iPad would not make it around the edge of the panel. You could place the ball closer to the corner to use a shorter straight piece, but I was conservative to make sure there was no interference with the instruments and lines in the panel. I know some like the long mount between the seats, but I like my setup because all the instruments are in one place on the panel and make it easier to read and scan with no depth of field issues...but do what makes sense to you. I'm right handed and my setup works fine for me. Reaching across with the right hand to manipulate the iPad is easy. Since it's the same hand I use to work radios and other avionics, it seems natural.